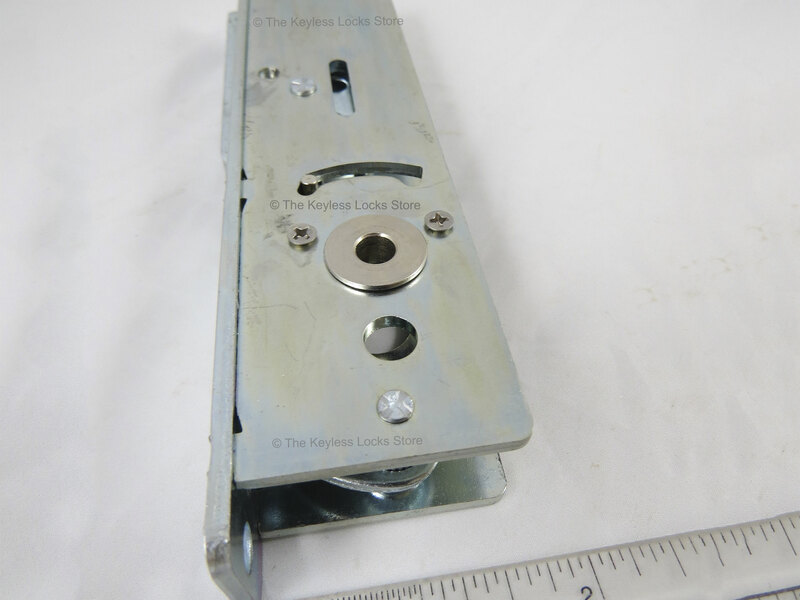 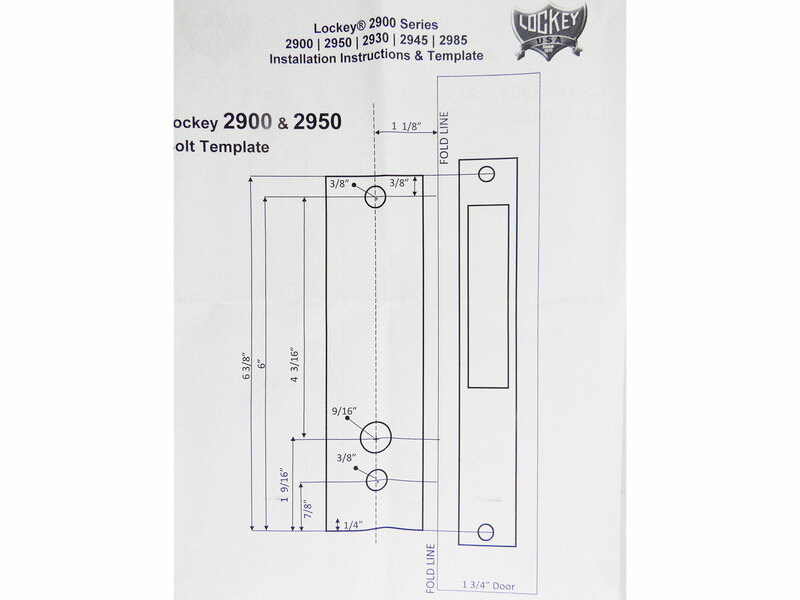 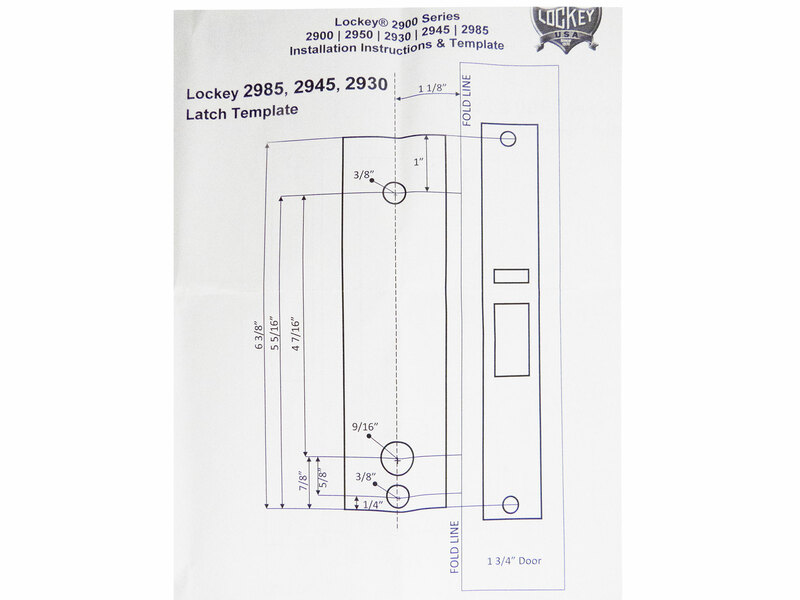 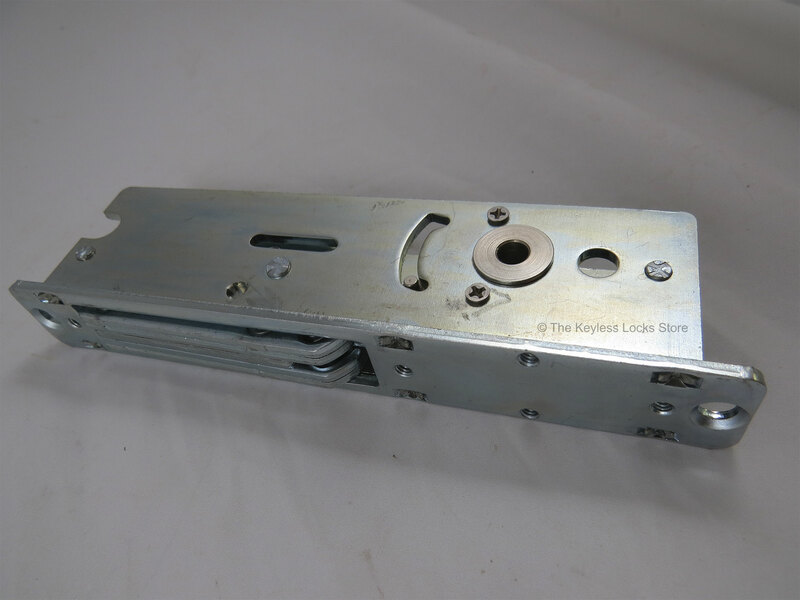 The Lockey 2900DC is a double-sided keypad lock for doors that is designed to replace an Adams-Rite lock. 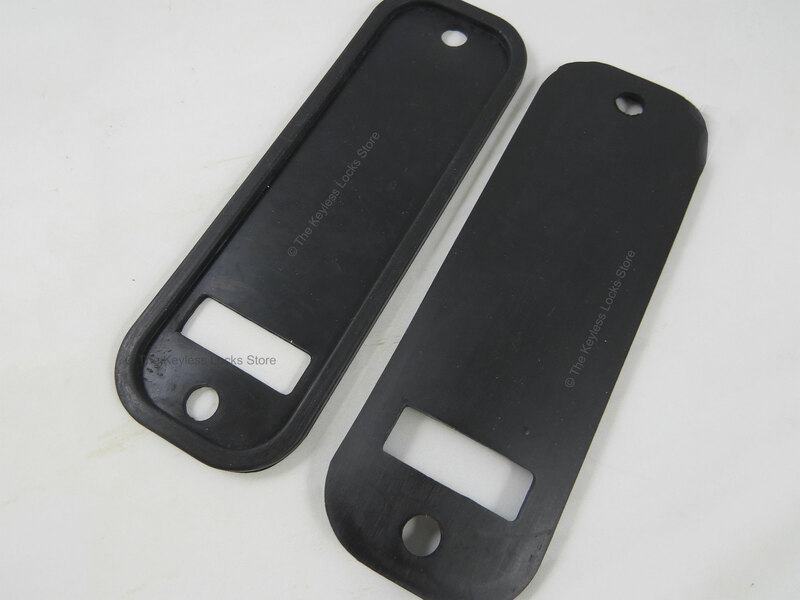 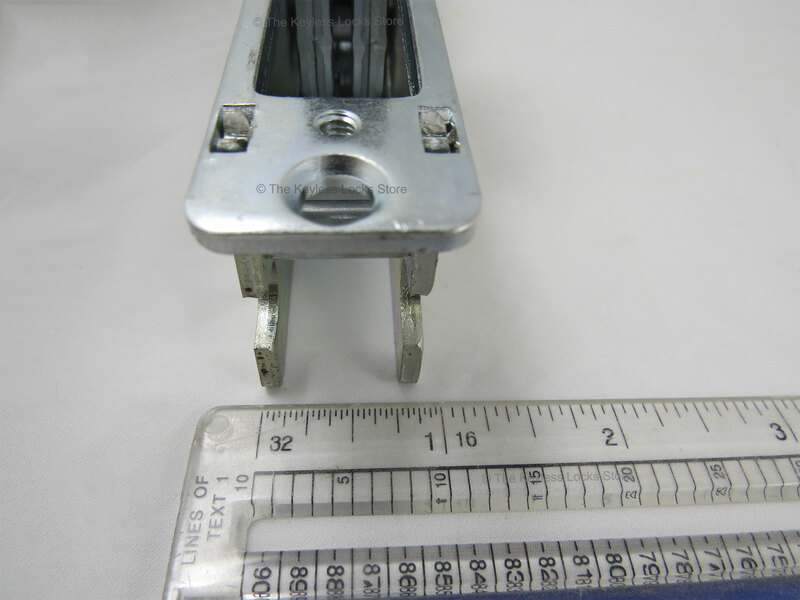 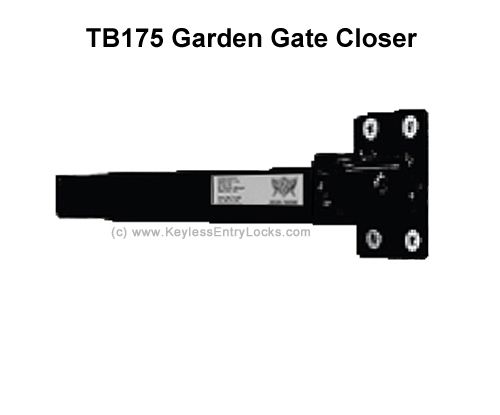 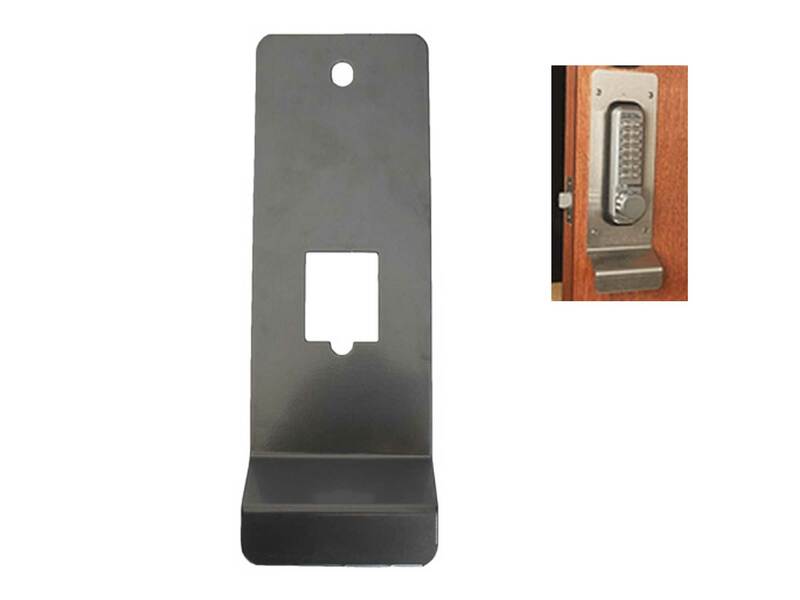 It is typically used on aluminum and glass store-front doors with narrow stiles. 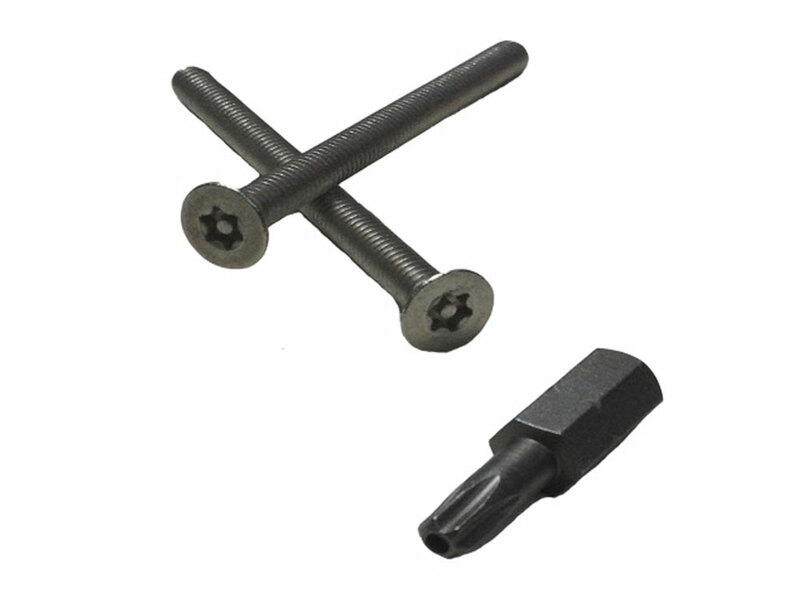 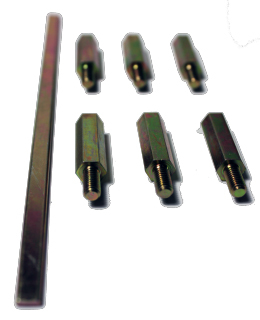 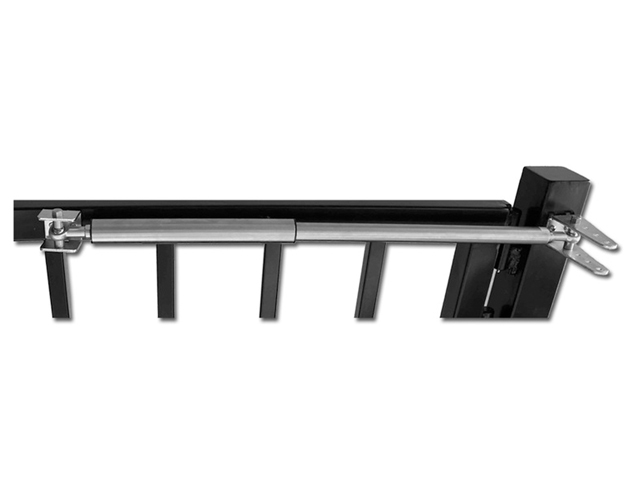 BOLT TYPE: Locks with a flat bar that pivots in/out of locked position and are locked manually.. 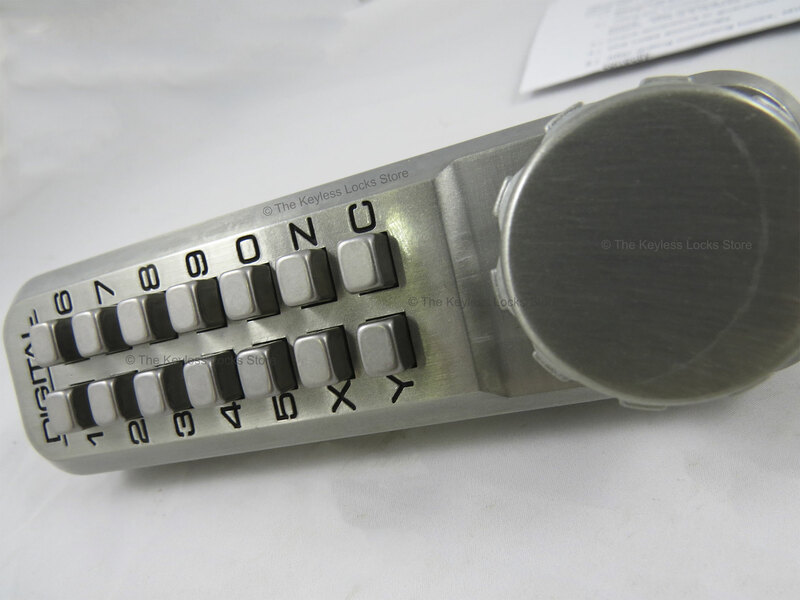 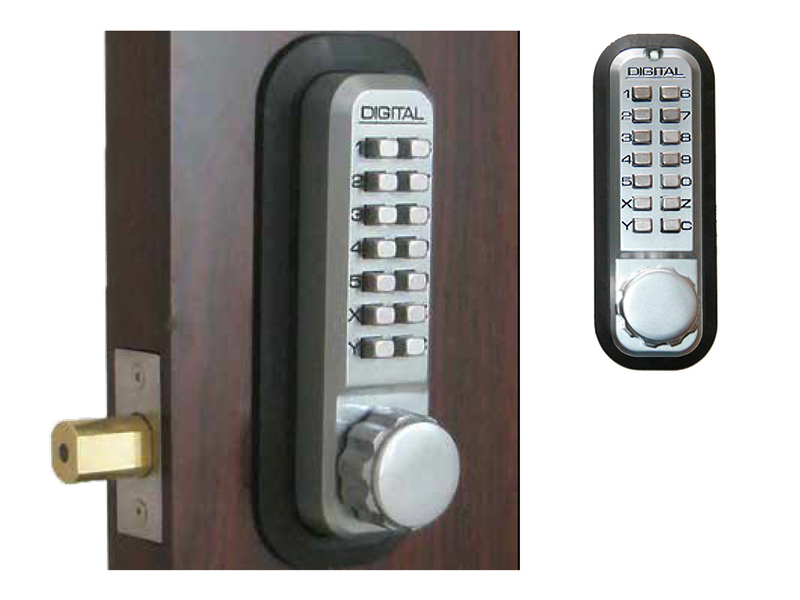 HANDLE: Locks which have an optional over-sized knob which slides over the existing knob so it is easier to handle. 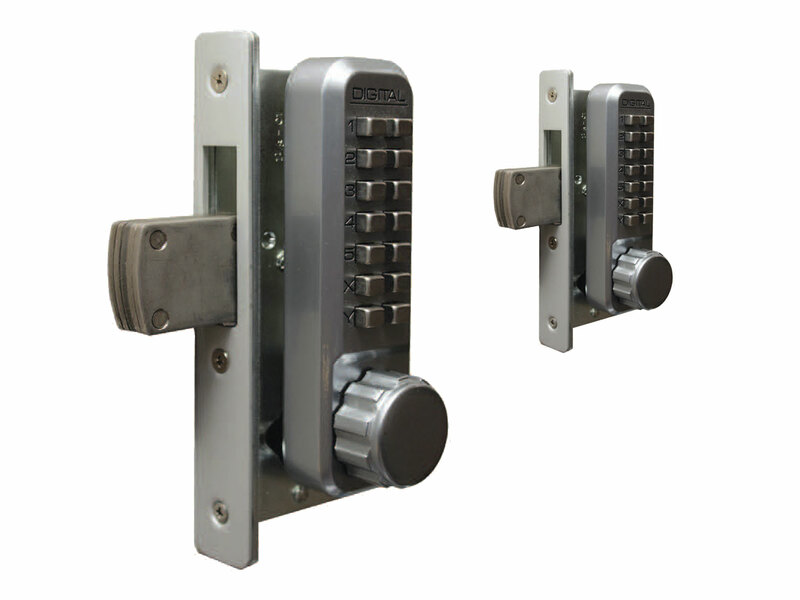 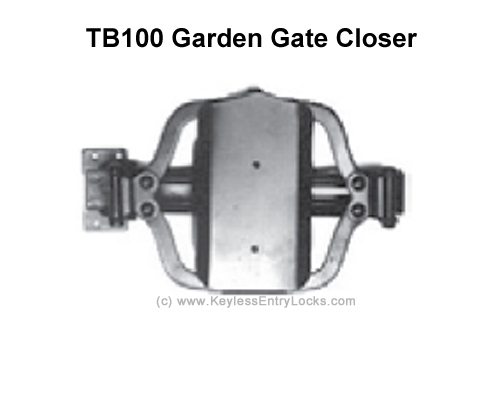 ; Locks with a round knob-handle and a flat face which may contain a key cylinder. 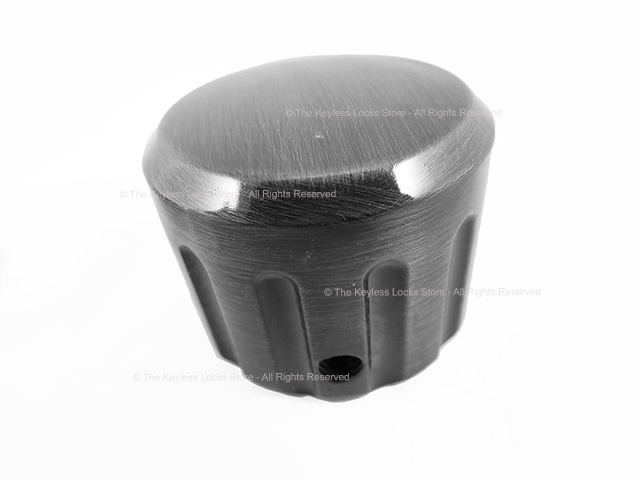 LOCKS FOR ...: (locks designed to replace Adams Rite locks on narrow-stile glass/aluminum storefront doors); (locks for commercial/business usage with advanced features, many users, high traffic, and heavy-duty components); (locks that are designed for exposure to ocean or road salt; (weatherproof locks for chain link fence gates with round, galvanized steel posts); (weatherproof locks for gates with rectangular (not round) posts like on sheds, barns, and other structures, etc.). 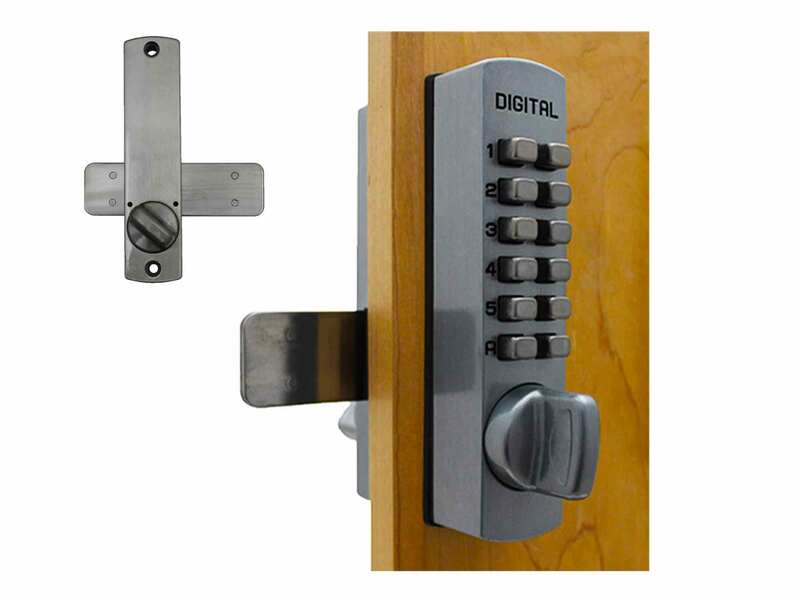 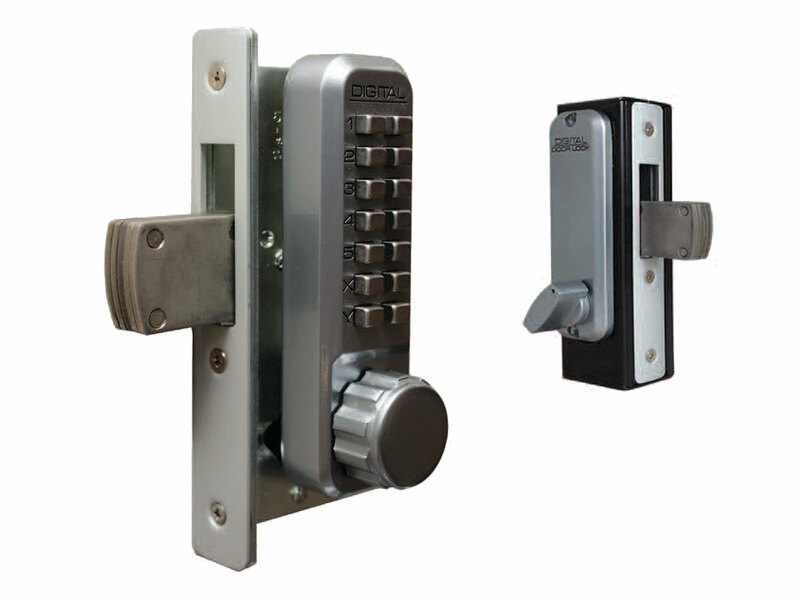 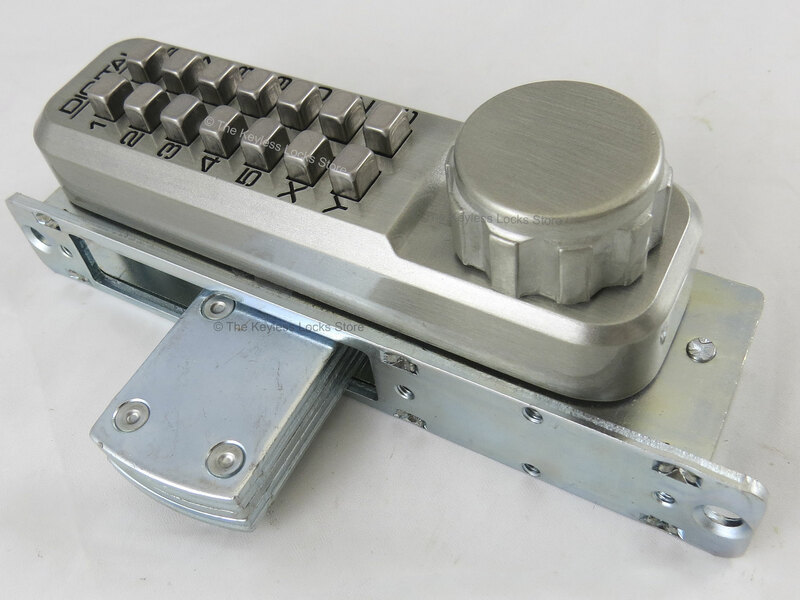 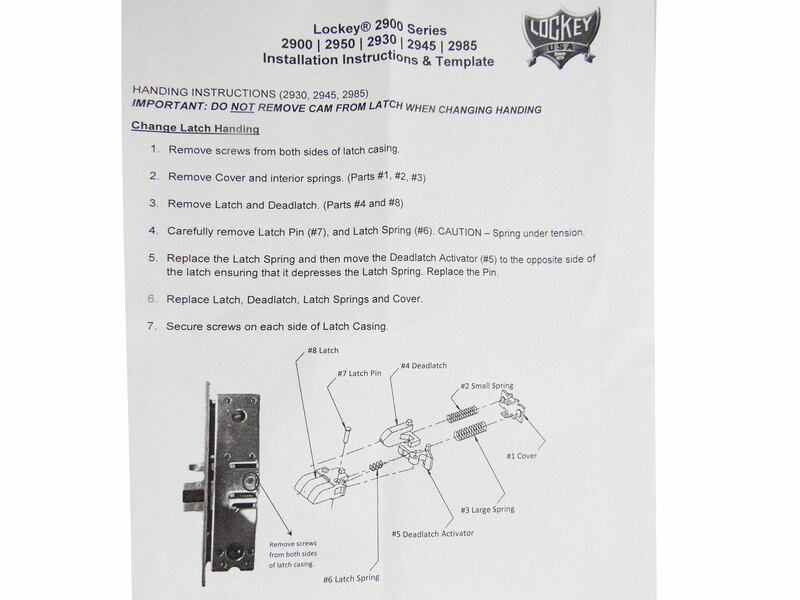 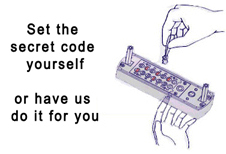 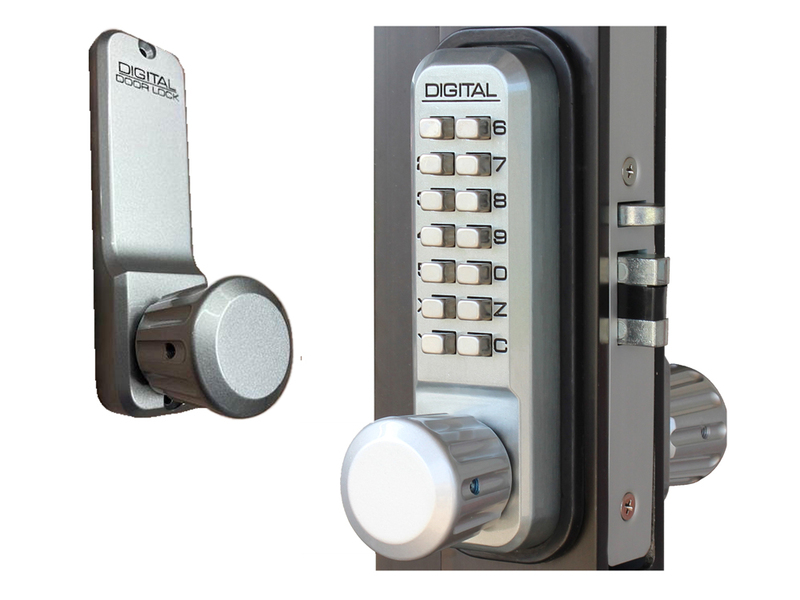 Since Lockey 2900DC is a deadbolt, it does not lock or latch automatically. 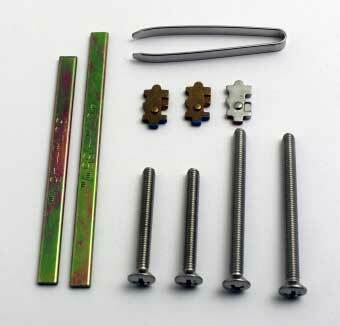 It has a five-ply laminated steel bolt with a concealed hardened steel pin for maximum security. 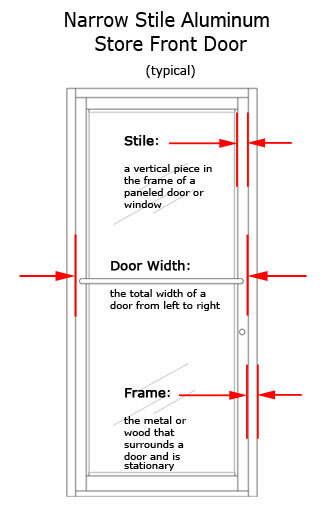 The door thickness must be 1-1/" to 2"". 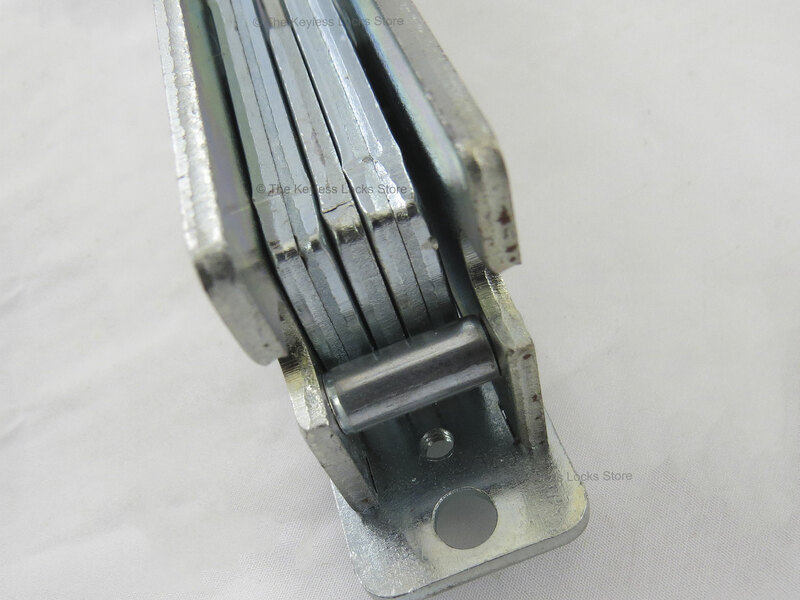 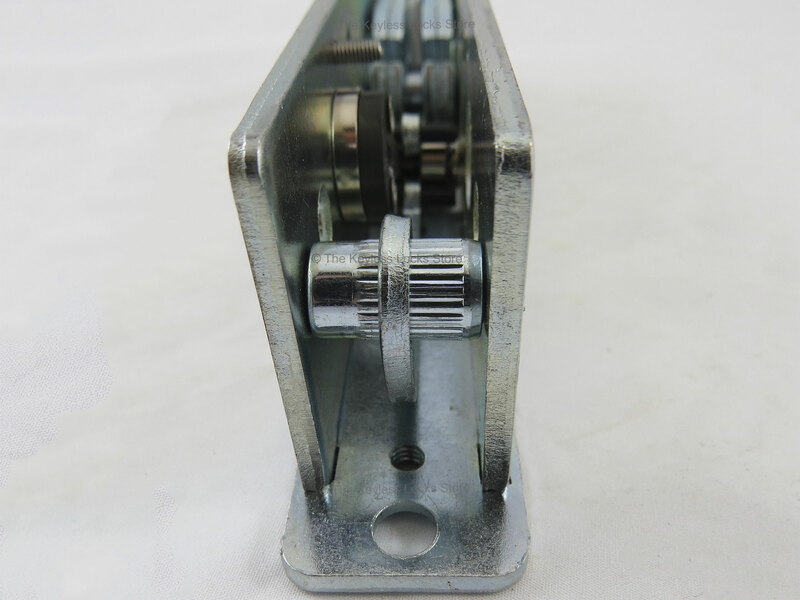 It can be used on doors with the hinges on either the right or left side. 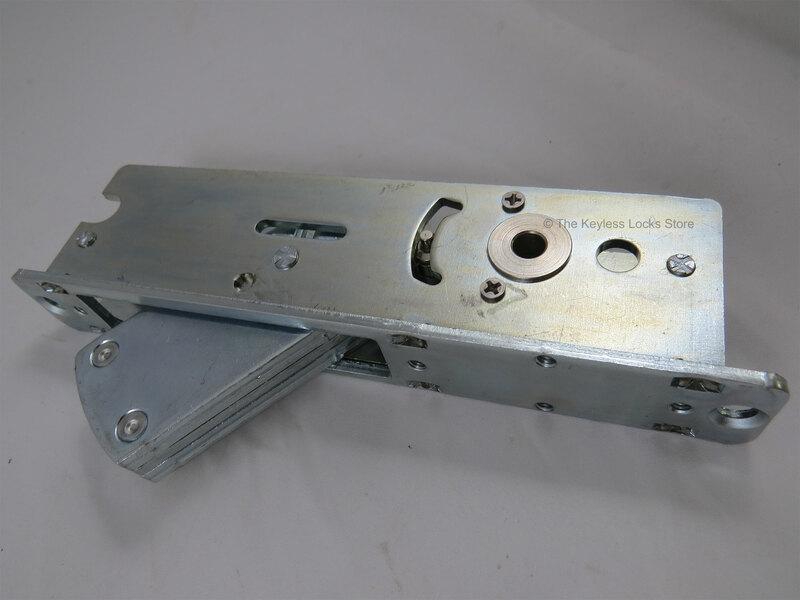 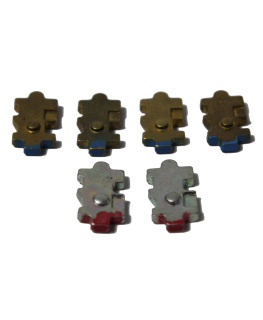 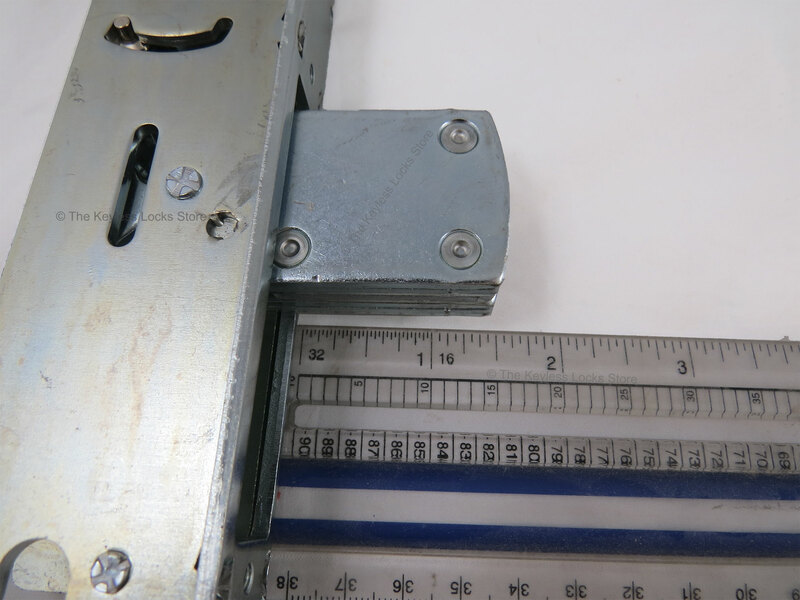 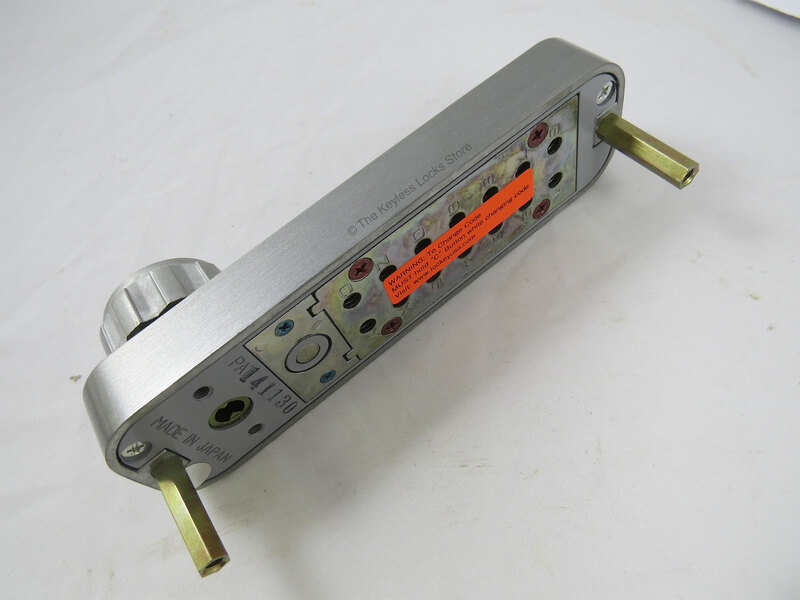 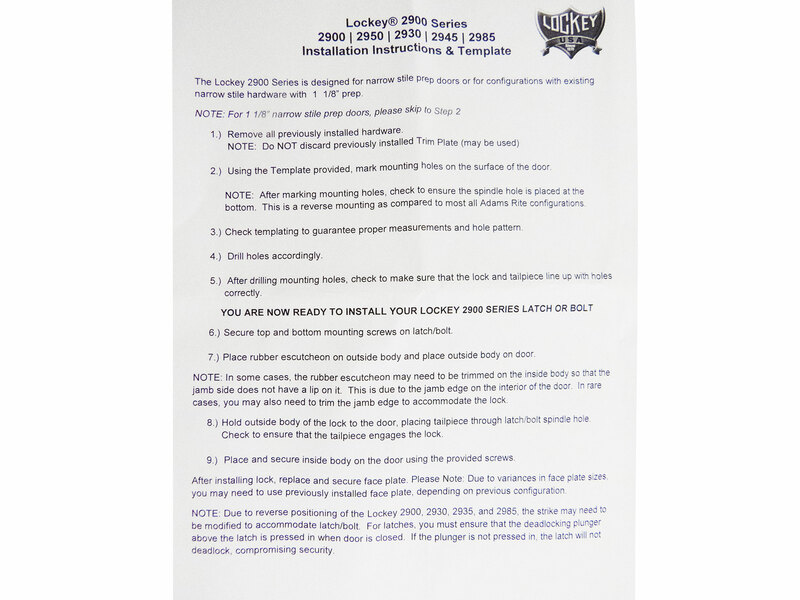 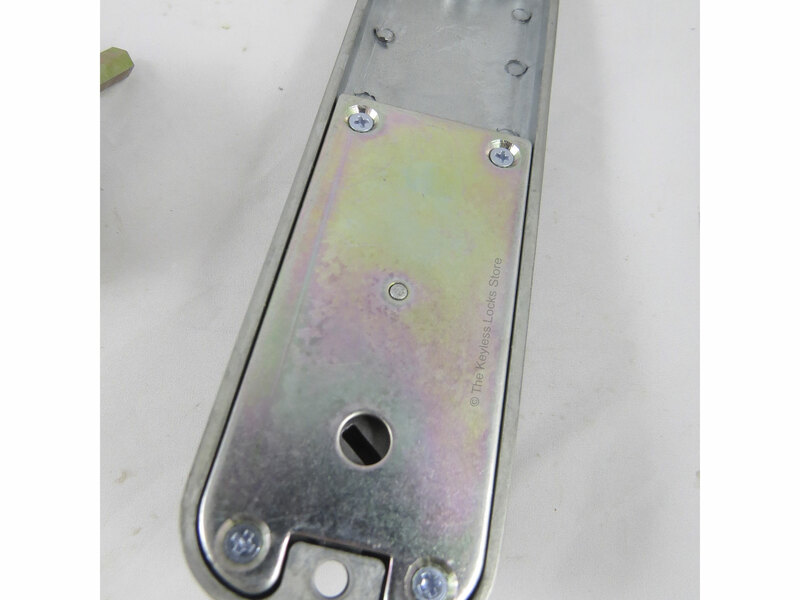 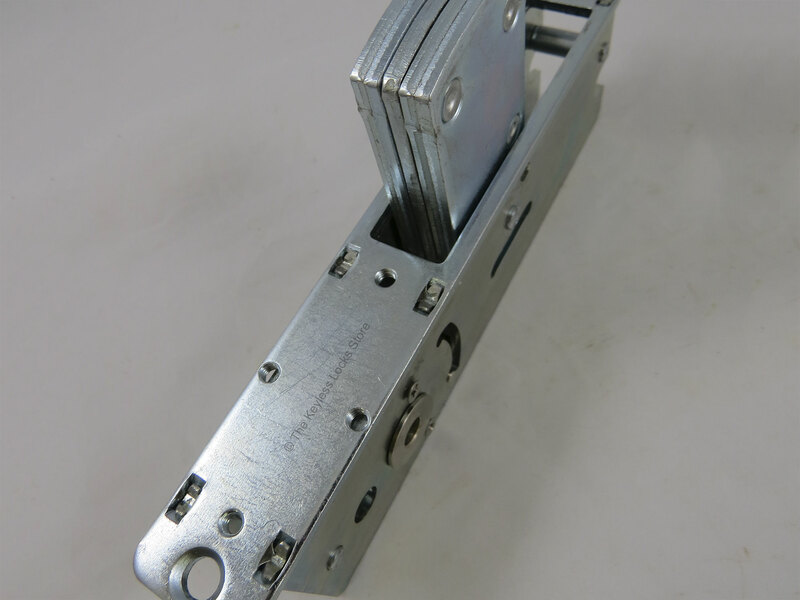 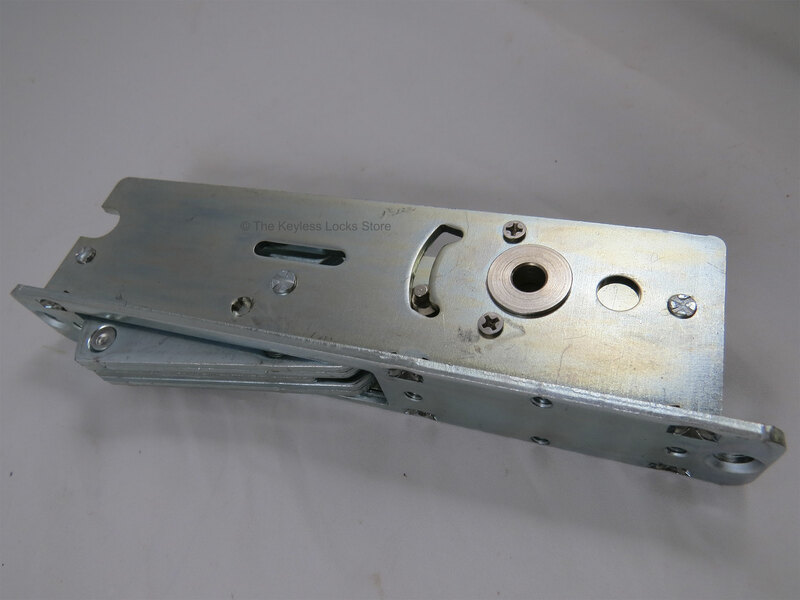 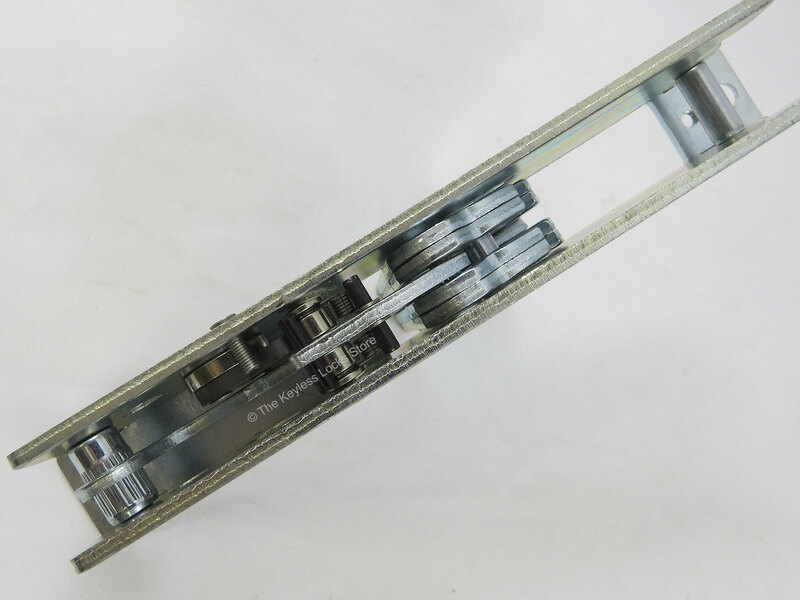 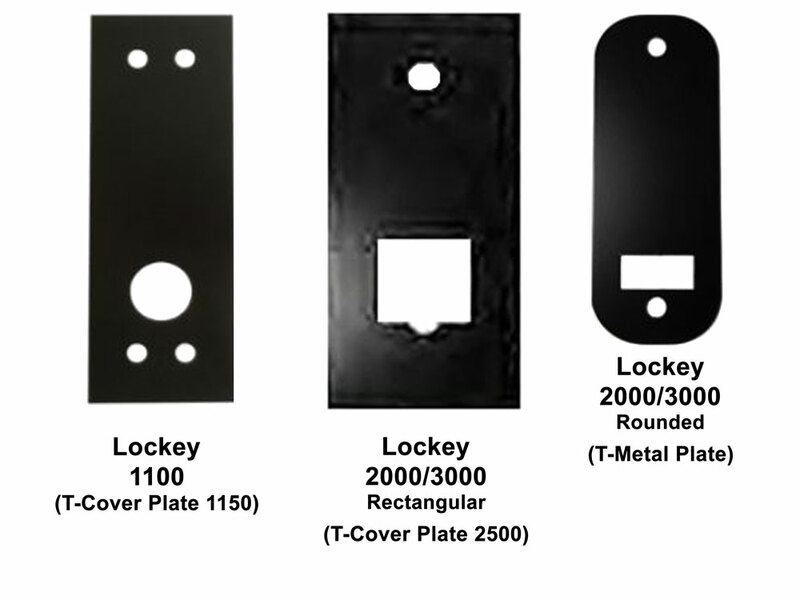 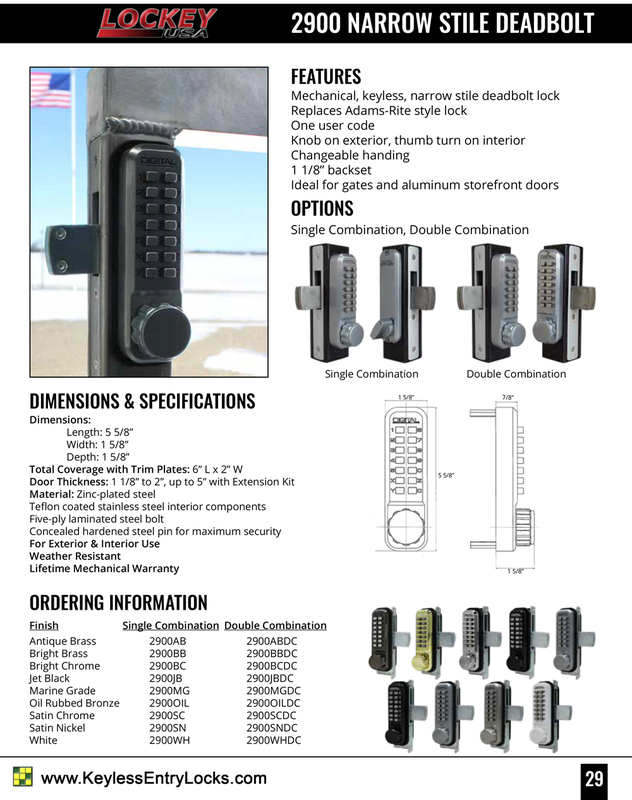 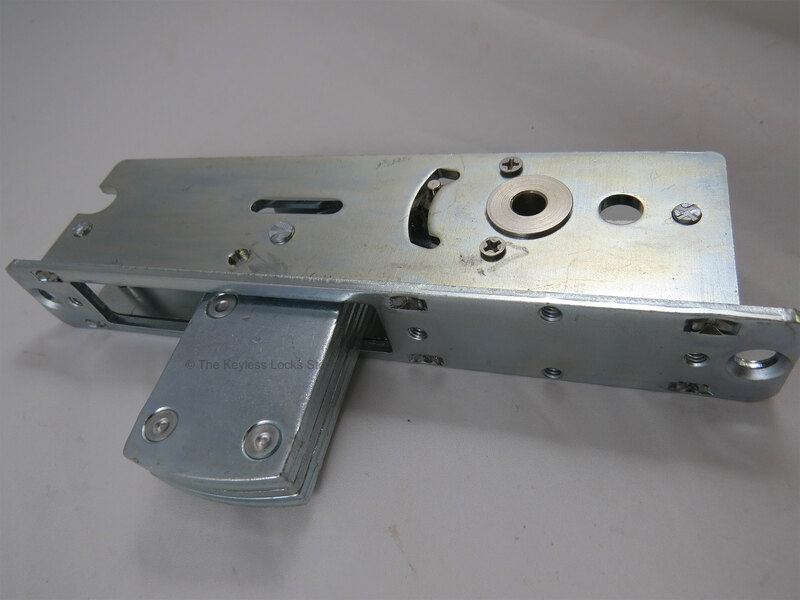 It will NOT retrofit on a standard 2-3/8" or 2-3/4" backset door without modification. 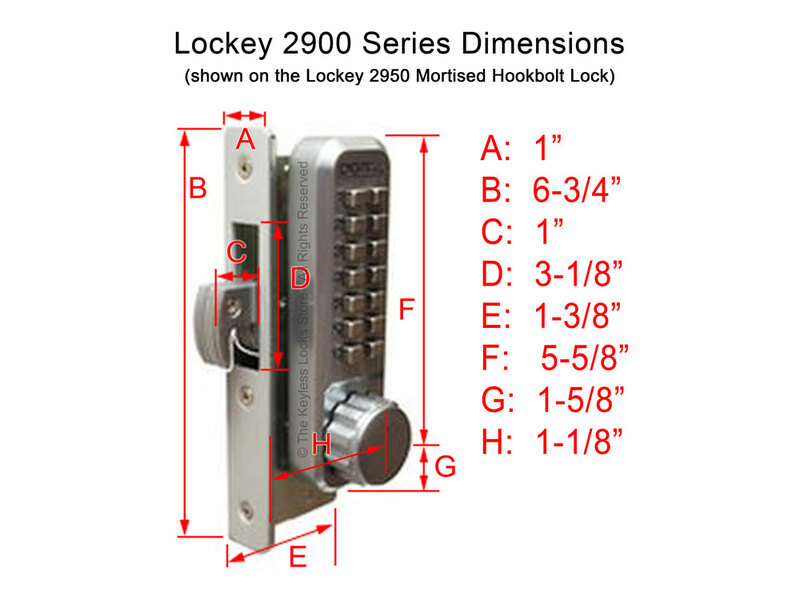 Like all Lockey keyless mechanical locks, it requires no power, is 100% weather proof, unpickable, unbumpable, and comes with a Life-Time Warranty.